A specialist in construction management systems, Mike worked on projects in Saudi Arabia and the North Sea. He became a Fellow of the IAP in 1987, but in 1990 his career took an unexpected turn when, after 30 years in construction, he suddenly found himself in charge of the IAP when his friend Bob Charles died. But Mike’s broad experience of business has been applied to the IAP with good effect. He has been responsible for a huge increase in its activity, influence and reputation. During a thirty-five year career, Robin has worked for the BBC, managed a large department in a College of Further and Higher Education, and written 19 books on computing, published in 12 languages. He has also been a technical journalist and an independent consultant. Robin was admitted as a Member of the Institution in 1997, becoming its Education Officer in the following year. Since then he has been putting his journalistic skills to good use as Editor of the IAP’s contribution to Visual Systems Journal. He became a Fellow of the Institution in 2003. John began his career more than 30 years ago as a computer operator. Studying in his spare time he quickly progressed to programming, initially in the private sector. Then in 1987 John moved to local government and spent 9 years there before moving on again into Insurance, until 2013 John worked in the Financial sector for one of Britain’s top Friendly Societies . 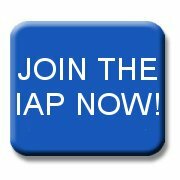 A Fellow since 1992, he joined the IAP Council in 2001. He became a Companion of the IAP in 2009. John is the Operations Director for the IAP responsible for the day-to-day running of the London Office. Bharati is probably your first port of call if you contact the office, dealing with all the queries and ensuring your membership subscriptions are processed correctly. Bruce spent 22 years in the Royal Electrical and Mechanical Engineers, and after leaving the Army, graduated with honours from the Open University. Working mainly for Criminal Justice agencies, he piloted the concept of browser based software and Rapid Application Development using DSDM. He currently leads a development team responsible for case management systems used by Criminal Justice and drug treatment agencies in the southwest. Technical director of TechCo Systems, he specializes in designing browser fronted applications and database driven websites. He has been a member of the Institution since 1992 and became Webmaster in November 2005.